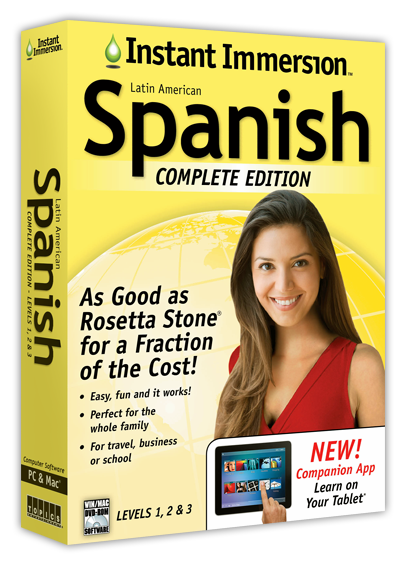 < Home / Learn German "As good as Rosetta Stone® for a fraction of the cost!" Have fun, save money and reach your goals faster – Guaranteed! Understand the basics of the German language and develop speaking skills you need to become confident and conversational in social interactions with up to 3 levels of our interactive software and audio. Newest Version - the newest versions are exclusive to www.InstantImmersion.com. Start Immediately – Download and access your course materials immediately after purchase. 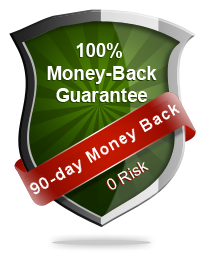 Money Back Guarantee – 90-day, no-risk money-back guarantee included with the purchase. Bonus Audio Lesson – Receive free audio lesson with every Levels 1, 2 & 3 purchase. 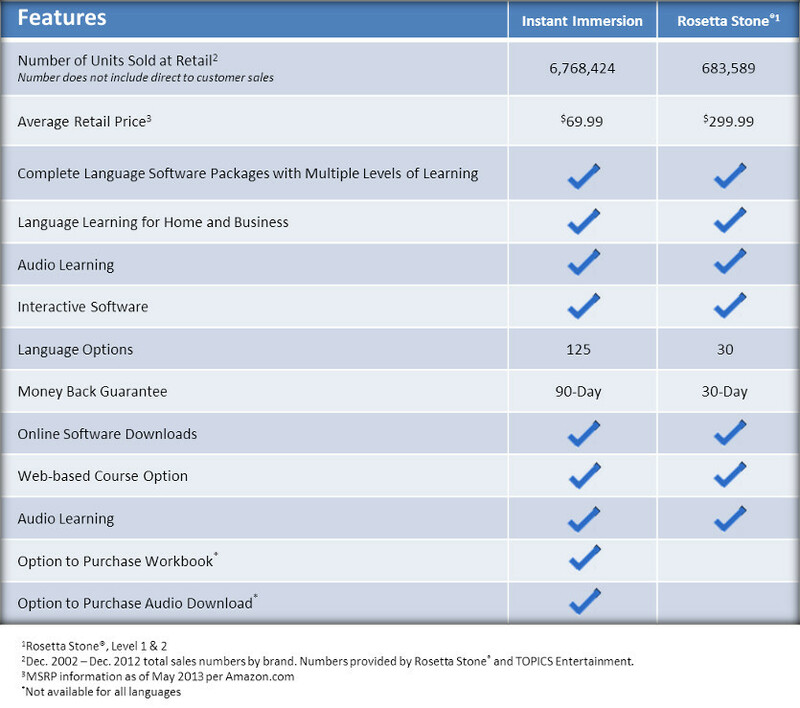 Instant Immersion's best-selling software has helped more than 6 MILLION people with their language-learning goals. Whether you're learning German for vacation, studying in school or simply polishing your fluency, Instant Immersion is the easiest and fastest way to learn a language. By combining written vocabulary, conversational, and cultural skills, you'll learn a new language in just minutes a day! This workbook is a great complement to the Instant Immersion audio or software products, or any other German language courses. Both Rosetta Stone® and Instant Immersion™ are respected brands. Both offer multi-level language-learning software. And both use similar teaching methods. So, why does Instant Immersion cost so much less? Because we don’t spend millions of dollars on advertising and marketing campaigns. Try Instant Immersion. We guarantee you will be satisfied or we will give you your money back! Living in another country is the best way to learn a foreign language, but for most of us, that is not an option. Instant Immersion’s award-winning language software was designed using the same proven techniques and methods that occur in an immersive environment to help you learn as quickly, easily and naturally as possible. Associating words with pictures is a proven way to reinforce a new language in your memory. Furthermore, there are opportunities to record your pronunciation and hear it repeated to judge your progression. A game-like atmosphere makes learning fun, and a modern, intuitive interface helps you easily navigate the programs and keeps track of your progress. 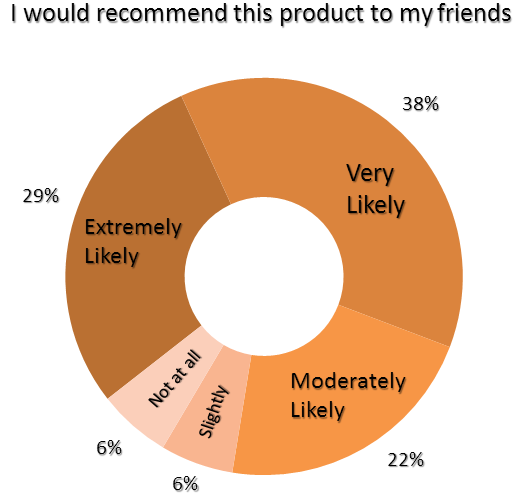 Instant Immersion’s best-selling programs have helped more than 6 million people with their language-learning goals. Now, it’s your turn! Using the same method you used to learn your first language, you will quickly and easily begin to understand, read and speak essential words in German categories such as food, numbers, shopping and time. Practice German with virtual flashcards, play games and record yourself saying the words to practice pronunciation. The fun interactive atmosphere keeps you coming back. So do the feelings of success and accomplishment! Tablets (iPad, Android) and Smartphones (iPhone, Android) will not support the software. Once you’ve got the basics, you will be ready for more German vocabulary and phrases. Topics in Level 2 include greetings, restaurants, hotels, travel, computers and more. Quiz yourself, print out the dictionary to practice on the go or really hone your speaking skills. Using our Voice Recording Feature, listen to a word spoken by an German native speaker, then record yourself repeating it. This natural listening process will give you confidence to speak in the real world! No software program can completely replace an immersive environment, but Level 3 German gives you a comfortable, easy way to practice in the real world by participating in video conversations with native speakers. Immersing yourself in the realistic German dialogues will help you reach your language-learning goals faster! You’ll also continue to add to your vocabulary with more advanced words that relate to hobbies, sports, directions, hotels, weather, people and emergencies. This level is dedicated to helping you communicate confidently in a business setting. You’ll learn German vocabulary that relates specifically to careers and the workplace, including topics like banking, marketing and advertising, negotiating, e-mail, finance and much more. Just like in the other levels, you will be able to practice in these topics with quizzes, interactive dialogues and games, as well as perfect your German pronunciation with the Voice Recording Feature. Play fun interactive games with the whole family using your TV, DVD player and remote control. There are nine topic areas, from shopping to business, multiple choice quizzes, and easy and hard games. This is a great method to practice your learning with a group. Quickly look up popular words and phrases with this convenient laminated 8-section phrase guide. There is the English word/phrase, German word/phrase and a phonetic pronunciation guide. This handy guide is something to pull out of your pocket and use as a reference on your vacation. DVD drive for installation of the Levels software (or an Internet connection for download/install). CD drive for installation or use of the MP3 CD. DVD player connected to a TV for use of the Interactive DVD. Tablets (iPad, Android) and Smartphones (iPhone, Android) will not support the software, but will support the MP3 audio files. Rhythms Easy Audio uses simple words and phrases that are set to a varied pattern of rhythms and music designed specifically to help you learn German and to keep you engaged in what you are doing. Rhythms Easy Audio is a great way to get you familiar with a new language. Learn German greetings, basic directions, words for food and drinks, and more. You’ll hear the words spoken by both a male and female native speaker, and then you will have an opportunity to test how well you are doing with built-in review stages at key points throughout the lesson. Learn German with our German Audio Lessons - hours of immersive learning! 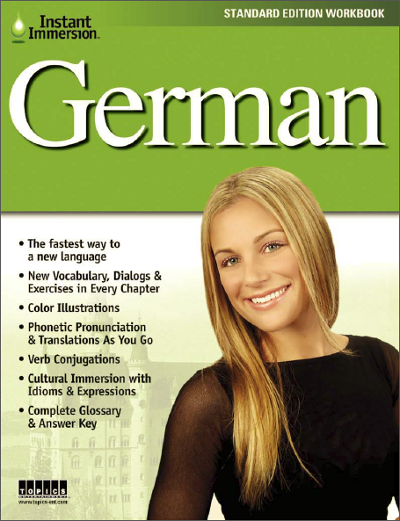 Download the MP3 files to your computer or portable device and start learning German immediately. A manual, audio transcript and MP3 instruction guide is included. Language experts agree that learning from native speakers and using these proven immersive language techniques is the best way to learn German and become fluent in a new language. We offer this software in different dialects. Each dialect reflects the use of the language by a particular country or region. Different dialects for the same language usually differ by certain words or phrases having different pronunciation, grammar or vocabulary. If you are unclear which dialect to select, chose the primary dialect. Please see the WORKBOOK tab for complete details and samples chapters. If you are not completely satisfied with a product purchased from InstantImmersion.com in the last 90 days, simply complete our online refund form (your name and order number is all we need to know). A refund to your credit card or PayPal account will be processed the next business day. The Family Edition product has a 180-day return policy and the product must be returned with a valid receipt. If you did NOT purchase your Instant Immersion product from us directly, please use the Contact Us link at the top of our website. Please see the AUDIO COURSES tab for complete details and samples of the audio options. Choose from these 7 languages!